A high-quality chair in traditional communication or executive areas. Elegant and comfortably upholstered, the Club Chairs offer attractive seating for communicative, relaxed work. The Club Chair offers a variety of seating opportunities for relaxed reception lounges, areas for waiting and relaxing, libraries and meetings. The rounded, conical frame has a distinct shape. 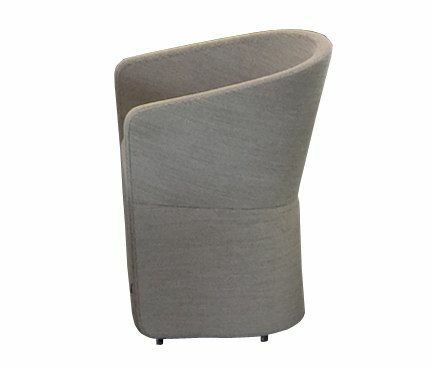 Depending on its intended use, the backrest of the Club Chair is also available in a middle-high model. If you want to "lighten up" just take the chair with the swivel base.